When will I get my order? : Orders are processed in 5 business days. Then refer to this map (Click here for map) to calculate the additional shipping time. Your favors ship from MI. 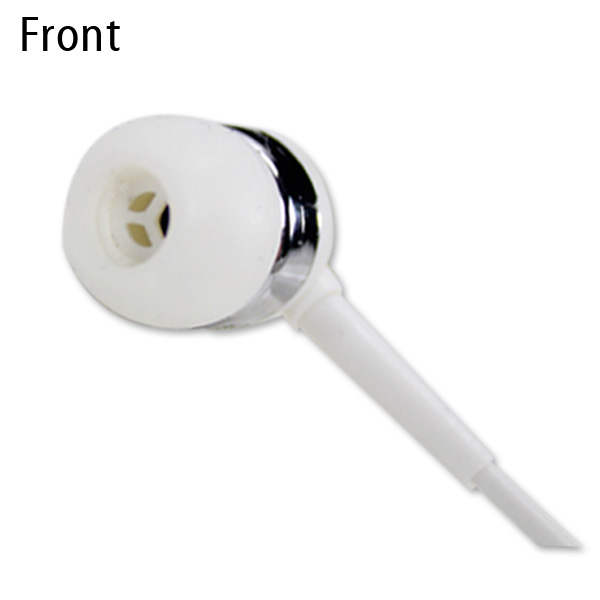 These cool ear buds make the perfect party favors for a music theme celebration. 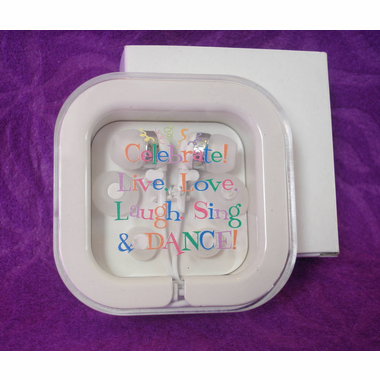 A colorful imprint is displayed on the case with the words: Celebrate, Live, Love, Laugh, Sing and Dance. They are an inexpensive alternative to those with a custom case design. 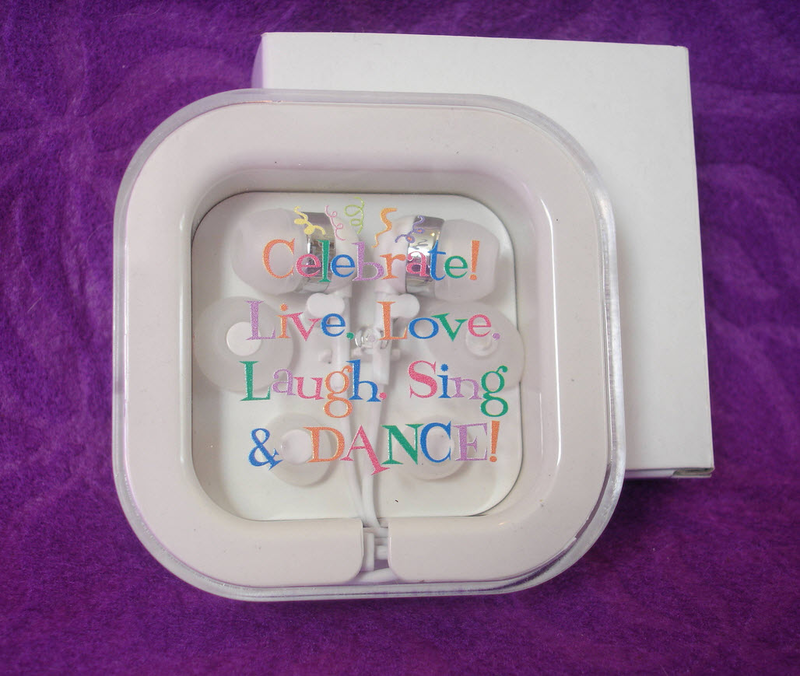 Perfect for a birthday, bridal shower, Bar or Bat Mitzvah, these ear buds will be used by all of your guests. Custom Birthday Glassware - 9 oz.